Fun, educational parent-child classes for hearing babies and kids up to age 6! Babies who sign have higher IQ scores later in childhood! Did you know that vision is, in part, a learned behavior and not the automatic ability that most of us always assumed it to be? Like learning to grasp or crawl, controlling the muscles in the eyes so that they move together or focus appropriately takes practice. This class is designed to introduce parents and babies to fun activities that promote healthy vision development. Ideal for babies birth to 6 months. Register for one or more of the Teeny Talkers baby sign language classes. Discover your baby's hidden talents! Learn surprising things your baby can already do and how you can foster those early abilities. This interactive parent and baby class will introduce you to insights from the best-selling book Baby Minds, by baby sign language pioneers and baby development experts, Drs. Acredolo and Goodwyn, all in the context of fun songs and activities. Ideal for babies 2-6 months. Learn how to make tummy time fun for your baby through engaging songs and activities in a play-class setting. At the same time, your Baby Signs educator will provide valuable parenting strategies to help you make the most of this important stage of development. New Baby? Or one on the way? New babies (in and out of the womb) are welcome to join their Big Brother or Big Sister for the My Baby & Me class, to help the new Big Brother or Big Sister love their new baby even more! Scroll down to the Busy Hands, Happy Hearts classes for more information! My Favorite Signs & Books!! Join us for a fun, interactive parent & child play class and learn some of our "favorite" signs. Fun songs, stories, and activities highlight important developmental skills. Parents will discover how signing with books helps foster early literacy skills and a lifelong love of books. Lots of our favorite board books for babies and young toddlers will be available after the class for purchase--at a very special discounted price just for Baby Signs families! Great for babies 6 to 24 months. Register for one or more of the Babblin' Babes baby sign language classes. The ORIGINAL Baby Sign Language Course! You do not need any sign language experience to benefit from and enjoy these classes! You are welcome to take as few or as many classes as you wish! You get one class FREE if you register for all six! Meal time can be a great bonding time for the whole family! During this class, seven common signs used during meal time are introduced, using songs and activities. Parents will also learn how to introduce signs to babies, so that your baby can communicate before he can talk! Bedtime can be a quiet, cuddly time with your little one. During this class, you will learn six signs to help create a positive bedtime routine. You will also learn how to choose the best signs to use with your baby, all while singing songs and playing games! Start your baby off with a love of being clean and taking good care of her teeth! Six signs to be used at bath time, taught through songs and stories, will help your baby to know what to expect so bath time is a fun time for her. Parents will also learn about the common steps babies take as they are learning how to sign. You and baby will learn six signs through fun games, activities and songs, to help make diapering and getting dressed more predictable and enjoyable for both of you. Parents will also learn how to tell when your baby is getting ready to sign, if he isn't already doing so. Babies and young toddlers love to talk about the amazing creatures around them! During this class, you and baby will learn six signs for common household pets and learn common reasons babies choose to use signs to communicate. You and baby will also have a leisurely tour of Claret Farm to see and pet some gentle farm animals, weather permitting! Your little one will have a great time "talking" with you at the park after you learn the six common park and playtime signs taught in this class! Parents will also learn more about how babies make the transition from signs to words. This class includes outside play on the playground at Claret Farm, to practice your park signs, weather permitting! It's a potty party and you're invited! This class provides a fun way to introduce the concept of potty training within an entertaining and interactive class. Children will learn potty signs, sing songs, and hear stories about using the potty. There will be ideas for parents for how to start and stay motivated with potty training, as well as information about the Baby Signs Potty Training program! Recommended for tots ages 1-4 years. It's time to wiggle, dance, twist, and turn! Parents and children will enjoy moving and grooving in this class designed to introduce movement activities through fun games and songs! Parents will discover how music promotes language, cognitive, social, and physical development while children learn how fun it is to Move & Groove! Recommended for tots ages 18 months to 3 years. A child's world is full of colors! Join us for this 45-minute class which teaches fun activities and games to help children explore the colors of the world around them. Learn ASL color signs and how colors help build a foundation for future learning. Recommended for tots ages 18 months to 4 years. Good manners do more than impress people. They also express gratitude and promote positive interactions. Help your child learn important social skills while learning simple signs for favorite foods. Come learn about Manners, Mealtime and More in this one-time class! The children will enjoy songs, games, and crafts, while exploring the topic of manners. Recommended for kids ages 18 months to 5 years. Register for one or more of the ChatterTots baby sign language classes. Parents often worry about how to help their child adjust to the idea and reality of a new baby in the home. This class is designed to give children fun, developmentally appropriate activities that they can do with the new baby at home. During the class itself, children will play games, sing songs, learn a few signs, read a story, and make a special craft. In addition, parents will receive simple tips to help them promote positive sibling relations when they return home. Perfect for siblings 2-5 years, and new babies, still in the womb to 6 months old. Learn simple signs for animals under the sea through fun songs, games, and activities. Led by a certified Baby Signs instructor, this class will also provide you with tips and strategies to help your child develop self-control from the best-selling books by baby sign language pioneers, Drs. Acredolo and Goodwyn. Join us for a "whale" of a good time! Perfect for kids ages 2-5 years. The theme of transportation becomes the "vehicle" for learning cooperation through fun signs, songs, stories, and activities. A certified Baby Signs instructor will share insights from baby development experts, Drs. Acredolo and Goodwyn, to help you with this important parenting challenge. A great way to get your child on board the cooperation train! 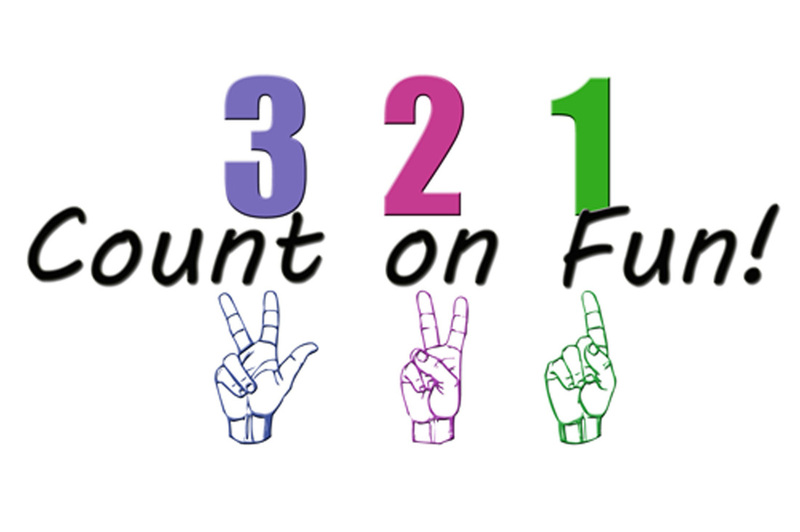 3, 2, 1, Count on Fun! Children and parents will enjoy a 45 minute class filled with games, stories, dancing and activities based around the theme of numbers! Come and discover how much fun you can have with numbers and counting! This is a class that you can "count" on enjoying. Perfect for kids ages 2 1/2-5 years. Are you ready to learn your ABCs? Join us for a fun class that introduces you and your child to the manual alphabet. The skills learned in this class will help your child with letter identification and other emerging literacy skills. 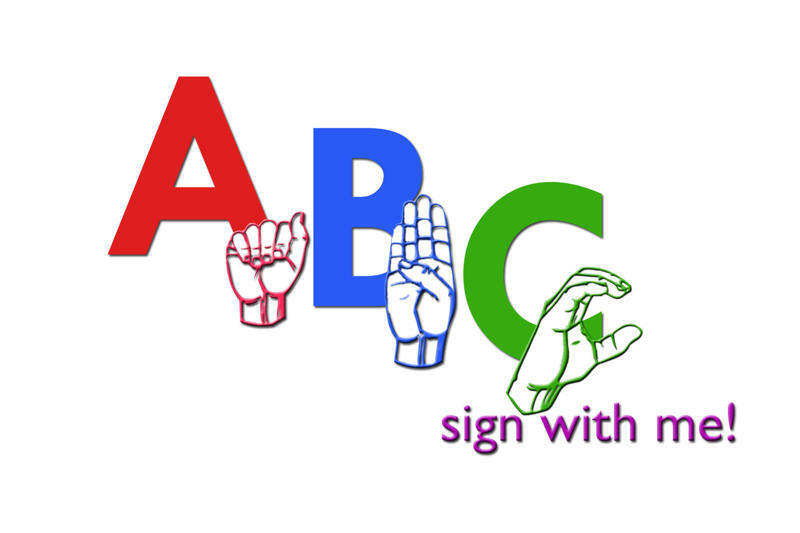 You and your child will discover how fun learning can be as you are introduced to the ASL signs for the letters of the alphabet through engaging activities and songs. Perfect for kids ages 3-6 years. Register for one or more of the Busy Hands, Happy Hearts sign language classes.